Now this is what I call a pop-up shop! ADIDAS certainly got a bright spark working in their marketing department somewhere. 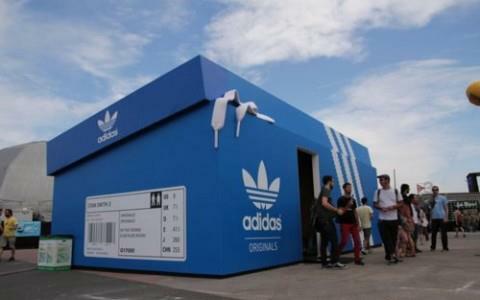 This temporary store in Buenos Aires which looks like a box of kicks must be a real sight for sore eyes, especially if you love three stripes like I do.